A local judge’s ruling that a homeless man’s truck is his home has long been anticipated by advocates for the homeless. It may open the door to there being a constitutional right to camp in the city. But there is a potential solution, if Seattle would act. A couple of years ago, a social-justice attorney I was meeting with about Seattle’s problems with homelessness made a startling prediction. We could sue the city right now, the attorney argued to me, and claim that the homeless have a “right to camp” in Seattle’s public areas. And we would win. I thought of this prediction the other day when a local judge ruled that a homeless man’s truck is his home. 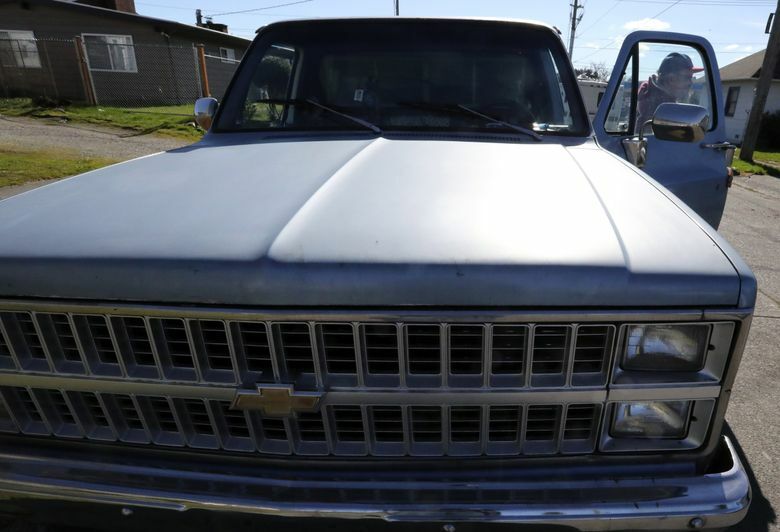 The judge found the city violated his “homestead” rights when it impounded his old GMC pickup, which he was living in, and then charged him around $600 to get it back. Those fines are excessive for someone in poverty, the judge said. But more importantly, the attorney’s long-ago prediction is proving prescient: There does appear to be an emerging “right to camp” in the law, in this case one for the mobile homeless. Well, city of Seattle: They told you so. Advocates for the homeless have been arguing for years, as that attorney did to me, that without the provision of adequate shelter, it’s unconstitutional to bar someone from lying down to sleep — whether in a car or a tent or a sleeping bag under a bridge. This legal theory got a major boost in 2015, when the federal Department of Justice (DOJ) effectively said there is a right to sleep. The department’s civil-rights division put out an opinion that a Boise, Idaho, ordinance banning homeless camping in public areas violated the Eighth Amendment’s protections against “cruel and unusual” punishments. The truck-is-your-home judge likewise invoked the Eighth Amendment. She found that the city’s impound fines were so high that the truck owner, Steven Long, was effectively stripped of his sole place to sleep — his home. Without his truck he slept under a tarp as well as in a chair at an overflowing shelter. The judge didn’t rule that the towing itself was illegal, only that the impound fees were too high. But the city clearly is worried Seattle is about to become a rule-free drive-in campground. It may be only a matter of time before this general reasoning is applied to unsanctioned tent encampments as well. There is a potential solution. But it’s one that’s been maddeningly difficult for Seattle, despite declaring a homelessness emergency 2½ years ago. It’s this: Give them somewhere else to go! For car campers, that could mean setting up a safe-parking program, in which city or business lots are open nights around town so the mobile homeless have an alternative to camping out on the streets. If there are alternative-shelter options, then there’s no longer a right to camp, the DOJ opinion suggests. Because then the homeless have a choice for places to sleep. A safer one, too. Other cities already do this. I first wrote about Santa Barbara’s “Safe Parking” program 10 years ago. Back then about 60 people would park just for the overnight hours, in a dozen lots. Now it’s up to 138 parking spots, with supervision and services by a nonprofit at a cost of only $400,000 per year (that’s a rounding error in Seattle’s massive homelessness budget). Police there say the program hasn’t ended street camping, but has reduced it. Why don’t we do something like this? Why is Seattle so stuck? Whether we’re ready for it or not, it looks like a judge may have just unstuck us.